UN Security Council Resolution 687, the cease-fire agreement ending the Kuwait war, has effectively eliminated whatever remained of the Iraqi ballistic missile capability after the extensive bombing during the war. 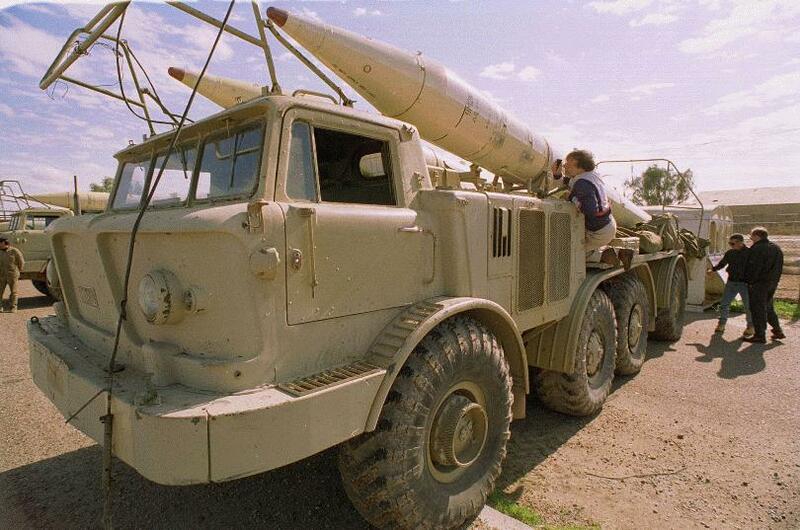 Under the terms of the cease-fire, all missiles with a range over 150 km as well as all R&D, support and manufacturing facilities, are to be dismantled, and Iraq is prohibited from using, developing, constructing or otherwise acquiring ballistic missiles over that range in the future. After the Gulf War, the 61 missiles that Iraq had acknowledged remained in its arsenal were destroyed; the head of the UN mission in charge of the task said that the UN had no evidence indicating that the Iraqis possess any other missiles. However, to alleviate any lingering doubts, the Special UN Commission is mandated by Res. 687 to develop a long-term plan for the ongoing monitoring and verification to ensure Iraqi compliance with its terms. Since the end of the Gulf War, UN inspection teams worked to find evidence that Iraq has hidden a residual Scud force of 100-200 missiles and 12-20 launchers. 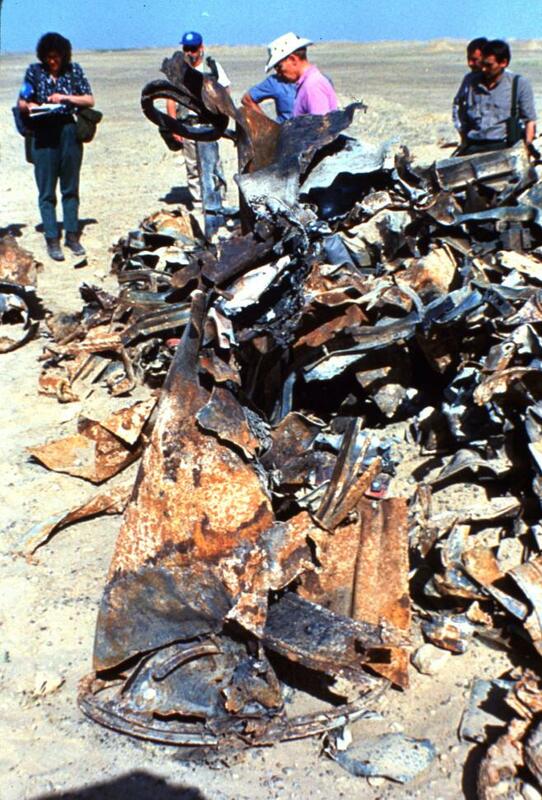 In March 1993, Rolf Ekeus, chairman of the U.N. Commission charged with eliminating Iraq's weapons that are in violation of Resolution 687, said that inspectors were unable to account for 200 of Iraq's 800 Scuds. As time past without discovering this putative residual force, the question turned to how quickly these hidden Scuds could be brought to a state of military readiness. The East German army considered that if kept in the maufacturers containers with partial guidance systems installed the Scud could be assembled after 20 years of storage and be ready for fuelling in about 95 minutes. Consequently, the US was concerned that if UN sanctions were lifted before there was high confidence that all Scuds and other potential WMD are eliminated, Iraq could quickly renew its threat to the Gulf region and in a few years regain its missile development and production capacity. A similar concern pertained to Iraq's residual nuclear, chemical, and biological weapons programs that may be eluding UN Inspectors. Earlier ambiguity concerning Iraq's residual missile inventory has been largely resolved, though UNSCOM maintains that Iraq is still concealing six to sixteen enhanced Scud missiles, potentially able to deliver chemical or biological warheads. 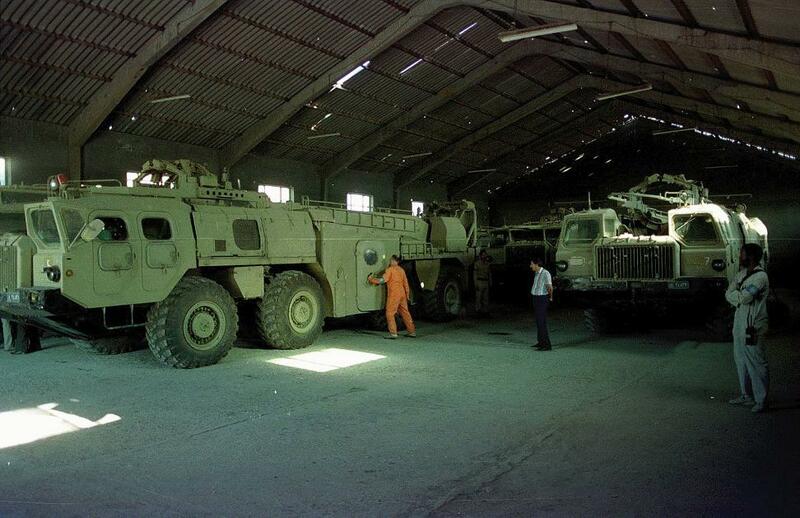 These Al Hussein missiles have eluded UNSCOM inspectors, along with as many as 20 long-range missile warheads produced before 1991 specifically to carry biological weapons. Iraqi is also known to have biological gravity bombs and tons of VX nerve gas. By 1996 UNSCOM concluded that Iraq had produced 80 Scud-like missiles indigenously -- thereby placing in doubt UNSCOM's initial overall count of Iraq's original missile inventories. UNSCOM teams visiting in 1996 have been unable to locate hidden missiles but UNSCOM has been investigating Iraq's methods of concealment. The Security Council required Iraq to unconditionally accept the destruction, removal or rendering harmless, under international supervision, of all ballistic missiles with a range greater than 150 kilometers and related major parts, and repair and production facilities (para. 8 (b) of resolution 687 (1991)). Iraq is further required to agree to urgent, on-site inspection by the Special Commission of its missile capabilities, based on Iraq's declarations and the designation of any additional locations by the Special Commission itself (para. 9 (b) (i) of resolution 687 (1991)). Other acts required of Iraq include the destruction by Iraq, under supervision of the Special Commission, of all its missile capabilities, including launchers (para. 9 (b) (ii) of resolution 687 (1991)). 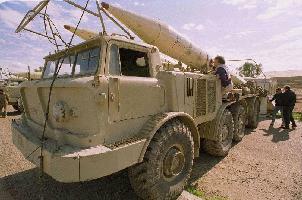 The core of Iraq's proscribed missile force was 819 long-range operational missiles that Iraq imported from the Soviet Union in the period ending in 1988. In addition, Iraq had successfully produced and tested similar missiles of its own. As a result of its inspections, investigations and analysis over six years, by 1997 UNSCOM was able to account for 817 of the 819 imported missiles [S/1997/774]. Note. Sources of accounting for each of the missiles vary. In most cases, accounting has been provided through Iraqi documentation. In some cases, multiple sources have provided corroborative accounting. In the case of unilateral destruction, accounting has been provided, for example, by reference to a key numbered component of an engine. Iraq modified originally imported warheads as well as has indigenously produced some. The indigenously produced warheads that were delivered to the Army were mainly for the delivery of chemical or biological agents. Iraq's Full Final Complete Declaration does not provide solid evidence for the verification of the declared total warhead production, its nature and its timing. [UNSCOM 03 June 98] Iraq states that a flight test of an indigenously produced Scud warhead, filled with a chemical agent simulant, was conducted in 1985. It stated that the reason for the test was to determine if it were possible for another country to threaten Iraq by such a means. It claimed to have learned from the test that this was possible. It then claimed further that it did no further work in response to this discovery and did not restart its special warhead development until five years later, in 1990. Iraq claimed that it then designed, developed, produced and began filling special warheads in less than three months. Two such warheads were flight-tested. As of October 1997 Iraq maintained that 80 special warheads for Al Hussein missiles were produced in total, namely, 50 for chemical, 25 for biological and 5 for trials of CW. 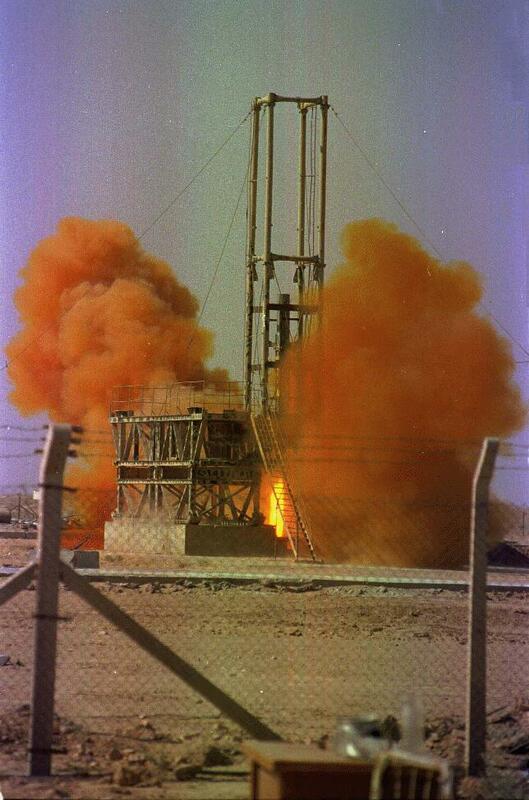 Special warheads for the Al Hussein missiles were filled with both chemical and biological agents prior to the Gulf War. As of October 1997 UNSCOM was able to verify that 16 warheads were filled with sarin and 34 with chemical warfare binary components. The Commission has confirmed the destruction of 30 chemical warheads under its supervision (16 filled with sarin and 14 with binary components). It was also able to confirm, in part, the unilateral destruction by Iraq of a portion of the 45 other special warheads. 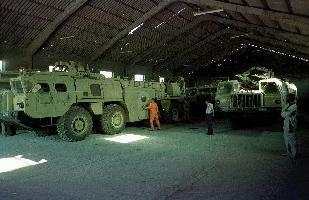 [S/1997/774] As of October 1998 UNSCOM was able to account for the destruction of between 43 to 45 of the 45 operational special warheads declared by Iraq as having been unilaterally destroyed in 1991. [S/1998/920] Iraq and UNSCOM accounted for most of the proscribed missile warheads as of October 1998. However, remnants of some 30 indigenously produced conventional warheads, which Iraq declared as unilaterally destroyed, have not yet been found [S/1998/920].